A typical magneto-optical system offers optical access in two planes with magnetic field in either horizontal or vertical field configuration. 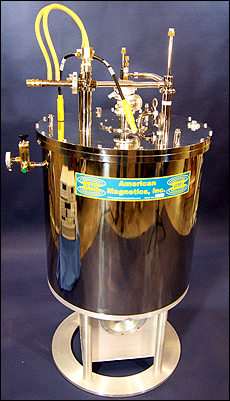 A standard system is available with a low temperature insert operable over 1.5K to 325K and magnetic fields up to 10T. These systems are available with a wide range of window materials. Actively shielded and cryogen free versions are being routinely offered for all applications.